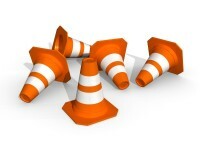 Workplace injuries and fatalities cost the British economy £13.4 billion in 2010/20111. While improvements to safety equipment and procedures have successfully reduced accidents, the effectiveness of this regulatory approach has reached another plateau2. The next significant improvement in safety performance will be achieved by taking a behavioural approach. 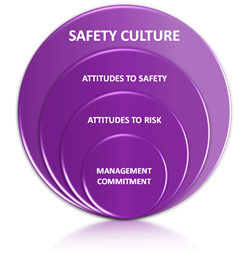 A safety culture survey is the starting point for this. Traditional safety surveys focus on equipment, processes and procedures. They do not provide insights into safety behaviours and attitudes to risk. By taking a behavioural approach with a safety culture survey, it is possible to assess how likely it is that employees will “walk the safety talk”. 60-80% of workplace accidents are attributable to operator error3. Regardless of the equipment and training provided, some employees have a higher tolerance of risk and are less inclined to follow procedures, putting themselves and their colleagues at risk; they somehow feel that they can manage the consequences of their actions. Their “near misses” may go un-reported, making it even harder to identify areas at greatest risk of a serious accident. Workplace safety is a corporate governance issue. For listed companies, the Turnbull guidance on the Combined Code on Corporate Governance requires robust internal controls covering a range of risks, including health and safety. For all organisations, a safety culture survey enables boards to practise effective corporate governance and directors to fulfil their duty of reasonable care, skill and diligence required by the Companies Act 2006. Most organisations have the ability to conduct safety audits in house but gaining an objective understanding of human behaviour is much more challenging. Our extensive experience in the areas of organisational culture and leadership is a natural complement to the in-house expertise of health and safety practitioners. A key strength of our approach is the use of multiple methods. We use two proven questionnaires, supported by management interviews. The questionnaires identify attitudes to safety and risk. They take a total of 10 minutes to complete and are aimed at operatives. They are non-attributable, so individual coinfidentiality is guaranteed. The management interviews take 20-30 minutes and are also confidential. who is the survey aimed at? why nova connection for a safety culture survey? We have many years experience of organisational culture surveys. Our British Psychological Society accreditation means that you can be confident of our objectivity, fairness and professionalism. An important benefit of the safety culture survey was that it enabled us to hold a mirror up to the organisation. The resulting dashboards have turned out to be a powerful catalyst for change and continual improvement; they are now an essential part of our Health and Safety Management System.